At Dogtopia of Grand Rapids, we treat your pup to fun-filled days of socializing with other dogs, interacting with our caring team, exercising and burning off plenty of pent-up energy. 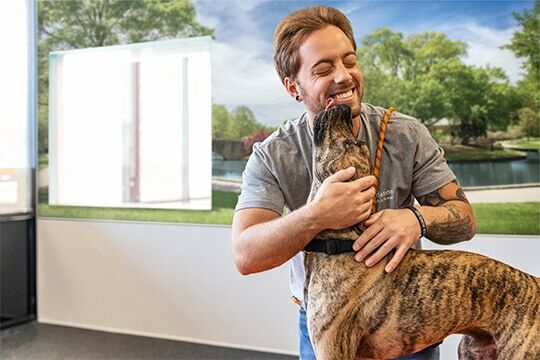 You’ll no longer feel guilty about not having enough time or energy to play with your dog after a long day of work because at the end of every day, you’ll pick up a perfectly happy pup. WHY CHOOSE Dogtopia of Grand Rapids?